Identify the four chambers of the heart. Trace the path of blood through the heart and lungs. Explain where oxygen enters the bloodstream. Describe how blood is carried through the body. 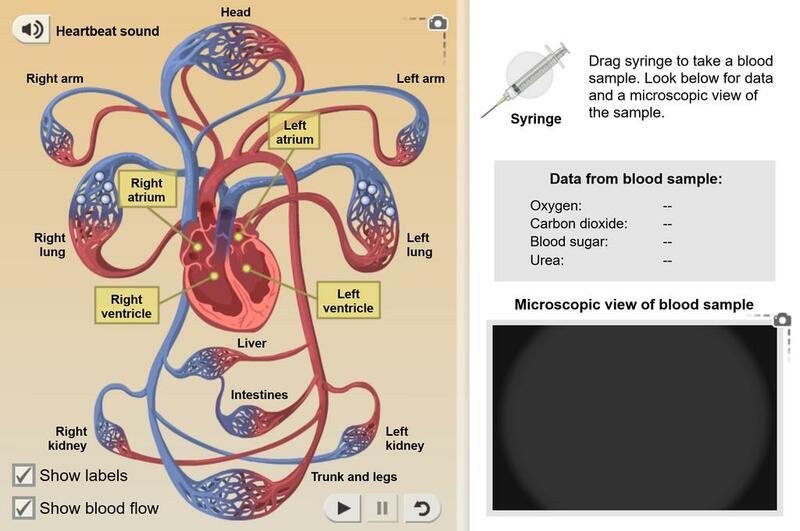 Compare the functions of arteries, capillaries, and veins. This document is the French translation of the Assessment Questions for Circulatory System. This transla... (more)tion was graciously provided by the Consortium provincial francophone de l'Alberta. This document is the French translation of the Student Exploration Guide. This translation was graciousl... (more)y provided by the Consortium provincial francophone de l'Alberta. These assessment questions have multiple choice items reduced to three. Love this one! Really powerful for understanding blood flow through system.